Senior year is marked by much excitement and preparation. This year was no different. The EC Class of 2018 is comprised of 34 graduates who graduated on Sunday, May 20. Seventeen of these students were recognized at the annual Senior Honors Night with the recognition award for maintaining enrollment at Everest since first grade. 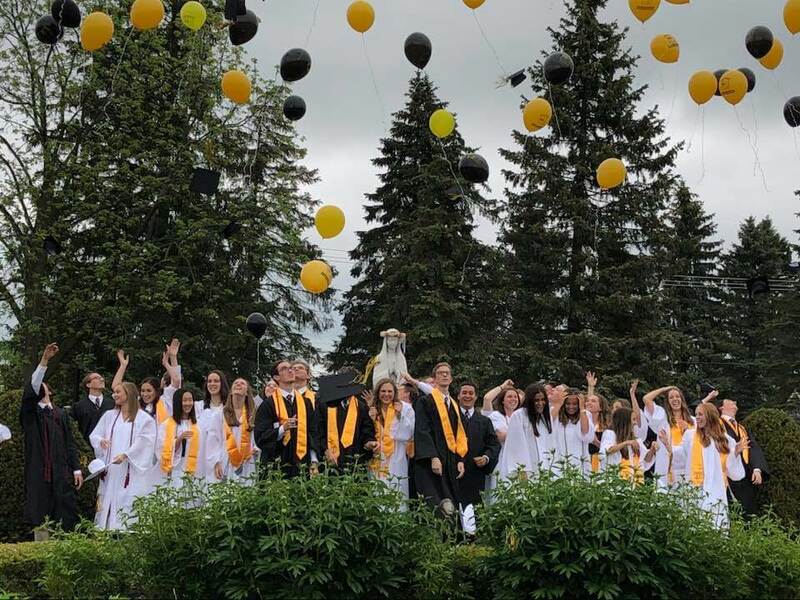 As EC’s seventh graduating class, the graduates will go on to some of the finest colleges and universities in the country. They have added 25 new college/universities of acceptance to the list of 184 colleges/universities that EC graduates have been accepted to over the course of the past seven years. Among the schools added to this list by the Class of 2018 are two Ivy League institutions: Harvard University and Yale University. The Class of 2018 also includes two National Merit Scholarship Finalists, Alexander Czarnecki and Kyle Smith. 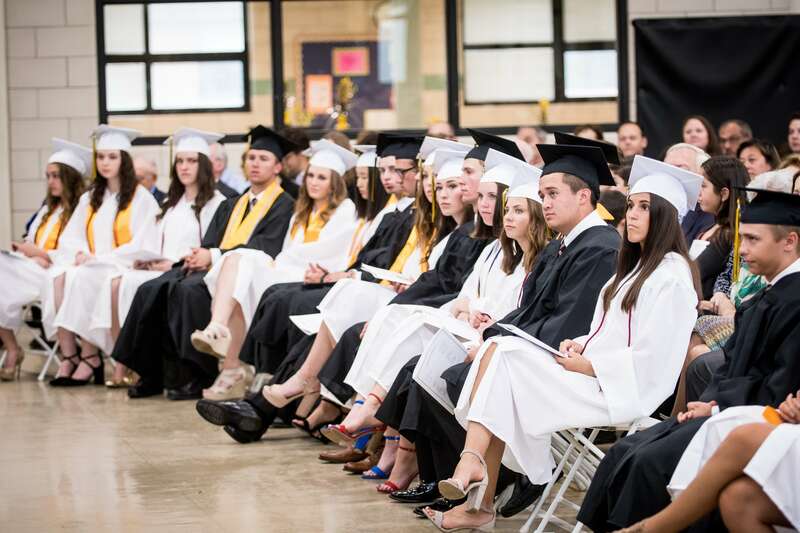 Collectively the class of 2018 completed 5818.2 service hours over their four years at EC, and to date has earned $5,916,108 scholarship dollars. Semper Altius award recipients Serena Carter and Andrew Stafford as well as valedictorians Kyle Smith and Regina De Nigris addressed the graduates and guests at the commencement exercises. After the ceremony, the graduates proceeded to the statue of Our Lady to pray a final decade of the rosary together as a class. Congratulations graduations! 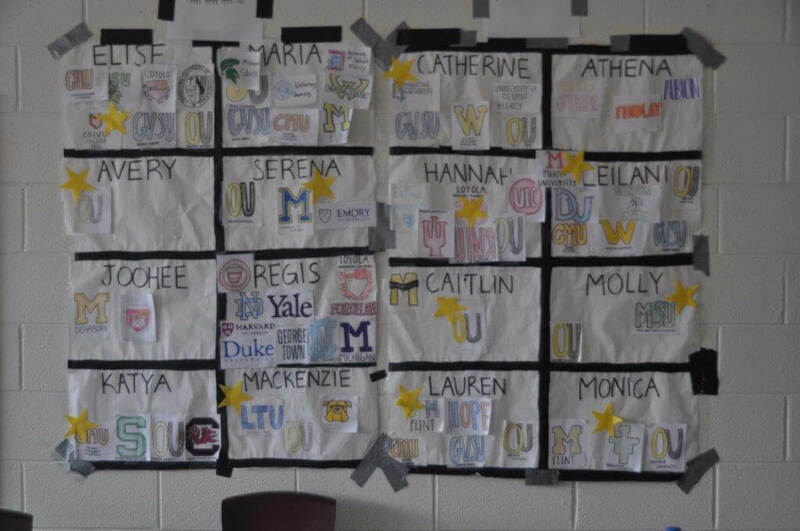 The senior girls kept tabs on college acceptances and declaration in philosophy/theology teacher Shane Dabney’s classroom.